We has been manufacturing,supplying and exporting our world wide customers with full-line of high quality Peanut.We have qualified squad of highly skilled and dedicated workmen putting their best to produce the best quality products for international customers. And we strive hard to cater a wide range of our customers' business needs and supply our quality products across the globe. On the basis of our advanced equipment and excellent technology, we are offering a wide range of products relying on strict quality control, scientific management and multi-procedure during quality check. We welcome new and old customers to contact us for future business relationships. Peanut has always been one of the popular desserts in Taiwan. It could be made into various kinds of food, as peanut waffle, crepe, ice cream and snow ice. Sunnysyrup supplies Boiled Sweet Peanut cans with preserved peanuts, it's tender and soft and good as the topping for snow ice products especially matcha flavor snow ice. 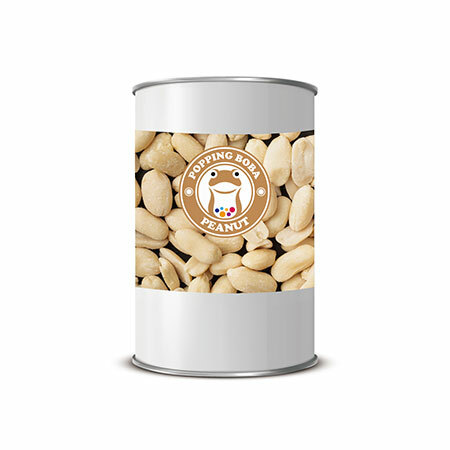 Boiled Sweet Peanut cans contain sweeten peanut, ready-to-use and packed vacumm inside a can, being able to preserve for 2 years. and find the suitable products to make easy and efficient your work. You will be impressed by our quality and prices.